According to the titled part of NEC, "(4)Receptacles shall be located to protect against physical damage to the flexible cord." I have installed a dishwasher recently, but the plugged to a receptacle newly installed right next to a base cabinet. 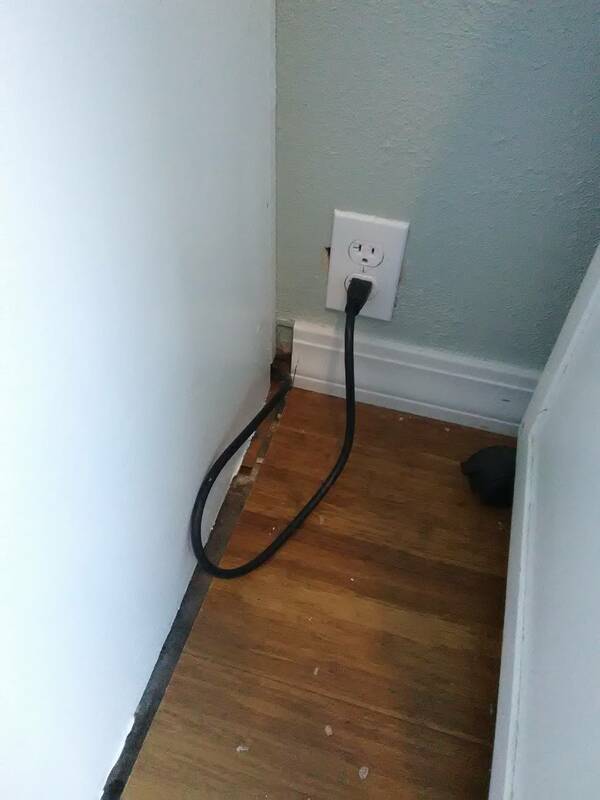 I know the receptacle is usually under sinks, and in that situation, we may be able to say that the cabinet is protecting the cord from damage. Is my situation violate the code since technically the code is exposed to a traffic area. See the picture below. Thank you for your advice. NEC 422.16(B)(2) is pretty much a repeat of NEC 400.12 Flexible Cords and Cables Uses Not Permitted. (7) Where subject to physical damage. In review of this Article 400.12(3) also says where run though holes in walls ... or 400.12(4) where run through doorways, windows or similar openings. First I would say I don't think the location of the receptacle and cord pose a threat to physical damage, but I do think it at least violates the intent of parts (3) and (4). 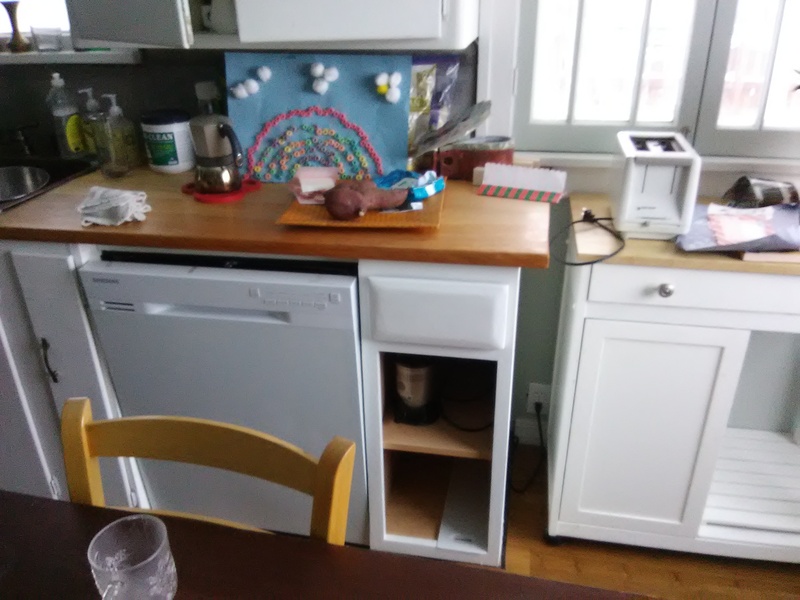 I will say that there has been plenty of debate among the electrical inspection community on whether a cabinet side is really a wall or a partition and is it allowed to be penetrated. I suspect a clearer definition will come out in later Code publications but right know everyone is stuck with the ones we have. As I have said before, I have an opinion but it doesn't matter. These debates have pretty much left the decision up to the AHJ (electrical inspector in your area). You should probably check with your municipality on their opinion. Not the answer you're looking for? Browse other questions tagged kitchens receptacle dishwasher wire or ask your own question. Can a built-in dishwasher be plugged into a receptacle? I have Direct tv plugged into a gfci protected receptacle. All of the receptacles on same circuit will go dead, but not trip the gfci. Why? How can I secure NM cable to a metal stud? How do I prevent white film forming on utensils in dishwashers? EV Wall Charger with built-in metering?